"There are good web designers. There are great web designers. And then there's the team at Entheos. The design team at Entheos took my concepts and created a beautiful new identity and market place for me to present and sell my designer line of jewelry and handbags! From company logo creation to website design the site includes: flash, sound loops, professional product images, secure web payments and easy navigation. They are the new generation of Macromedia web designers, wildly creative and completed the job professionally with a unique touch. If you require excellence delivered consistently, if you insist your project must be completed on time and on budget then don't wait engage Entheos. They are terrific!" Entheos is a 13 year old Web Design company offering professional and affordable web solutions of the highest quality, to clients all over the world. We are based in Bangalore, India. Entheos means "God within" in Greek. Interestingly, the word “enthusiasm” has its origins from the same word. God is the source of our inspiration and enthusiasm and the root of the ethics and integrity we follow in this company. Ready-made Website Templates - These templates include CSS & HTML web templates, Wordpress Themes, Joomla templates, Magento themes, logos and corporate identities, Powerpoint templates,Bootstrap templates and more. Custom Services - Our custom services include logo design, stationary design, website design, template customization & dynamic website development. Free Resources - We offer many free web design resources including tutorials, templates, background images, galleries, Flash games etc. We work with enthusiasm to deliver the best to our clients. We have a passion for excellence. We follow ethical principles in business and our integrity is uncompromising. We work joyfully with people of many faiths, but begin each working day with Christian prayer. We are growing, sharing and evolving as the Web evolves, widening our product horizons and increasing our array of service offerings. Our work atmosphere is comfortable and relaxed, yet we work hard to deliver quality work to our clients, and in providing service beyond their expectations. Our open communication with our clients smoothes the process flow and helps us to deliver results within a short turnaround time. We enjoy our work! We respect feedback from our clients, as it encourages us to grow and improve continuously. The promoter and sole proprietor of Entheos is livewire Rachna Kingston, a Graduate in Commerce with hands-on experience in Web Designing for over 16 years. Rachna has a passion for the power of the Internet and what it can do to transform the lives of individuals, small and large businesses, groups and people of all ages. In 2004, backed by four successful years of entrepreneurial Web experience Rachna set up her own company, Entheos with the vision to offer excellence in custom Web Design services at affordable rates. Soon, in response to the growing needs of customers for quick web design solutions, she expanded her offerings to include best-of-breed web products – readymade website templates backed by the Entheos team’s skills in customization. 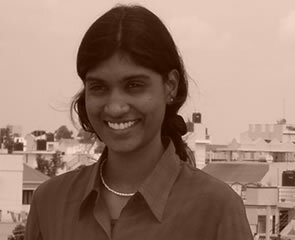 Rachna is a creative Web Designer with capabilities in Fireworks, Flash, Dreamweaver and ASP. She aims to concentrate on her main forte in Web Marketing, Site Promotion and New Business Development. She was interviewed at Retireat21.com and IncomeDiary.com. Rajan is COO of Entheos and Managing Partner at Entheos Services. With his considerable experience of 44 years in Information technology, software development, operations and management, he has streamlined operational methodologies, personalized marketing and client interaction, encouraged learning and managed people and finances optimally. Rajan is a gold medallist in Engineering college from GCT, Coimbatore, with a Masters in Business Administration from the Jamnalal Bajaj Institute of Management in Bombay. 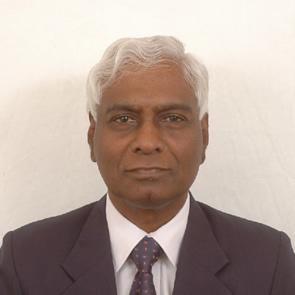 His tenure of over 27 years in the Indian Navy gave him wide experience in different areas like Electronics, development of Weapon computer systems; technical training; production, planning and control in Naval Dockyards with a large workforce, project management and people management during peace and war time. In January 1997 he took voluntary retirement from the Indian Navy and joined Human Base India a software development company in Bangalore, as COO and later as CEO. He built up the company through challenging times into a reputable institute for high-level training and software development company in Oracle ERP, Java, Open source and Microsoft technologies. Rajan makes a vital contribution to Entheos’ growth as a vibrant web business. Would you like us to develop a powerful web presence for you? Contact us today!